While David Trone’s personal wealth was more than enough to secure him a nearly 10-point victory in June’s eight-person 6th Congressional District Democratic primary, the Potomac liquor tycoon still hasn’t managed to lock down the support – at least publicly – of most of his Democratic primary competitors. Despite Del. Kirill Reznik’s (D-Montgomery) dubious Facebook assertion that his House colleague, Del. 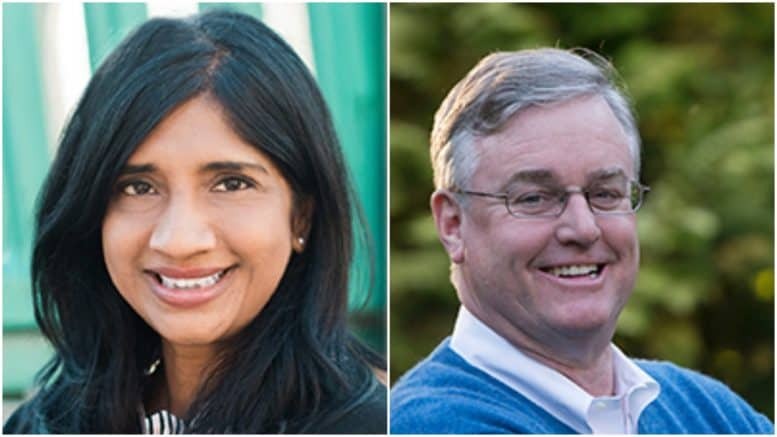 Aruna Miller (D-Montgomery), has endorsed Trone, there is not a scintilla of evidence that Miller offered Trone her public support and backing. Reznik’s comment below was published on a Facebook status by former Takoma Park City Councilman Seth Grimes. Reznik did not respond to A Miner Detail’s request for comment about his questionable assertation that Miller endorsed Trone. Miller, when reached for comment on Tuesday, told A Miner Detail she “prefer not to comment” regarding an endorsement in the CD-6 race. 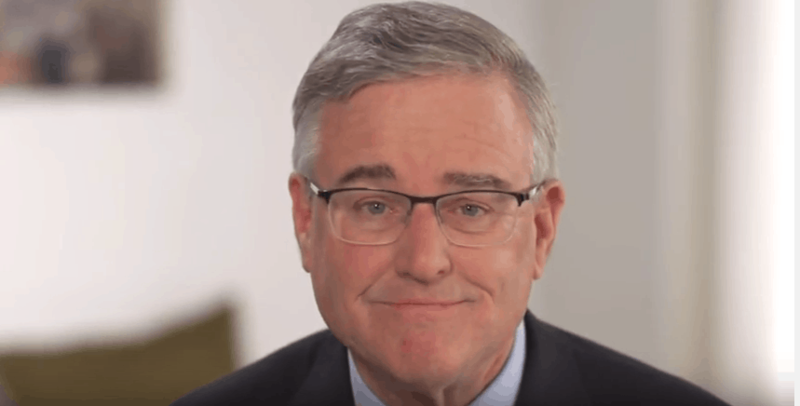 Trone outspent Miller 11-1 in this year’s Democratic primary, having thrown more than $10 million of his own cash into his campaign. Miller was Trone’s closest competition, but Trone bested the District 15 Democrat by a little over 5,500 votes, earning 40% of the primary vote to Miller’s 30.7%. After her defeat in the CD-6 Democratic primary, Miller, nonetheless, is actively using her social media accounts to encourage fellow Democrats to vote, showing public support for other Maryland Democratic office seekers, including Maryland Democratic gubernatorial nominee Ben Jealous. Yet, the Darnestown Democrat is conspicuously mum on any public show of support for her former primary competitor, Trone. Democratic sources in Maryland have told A Miner Detail that Trone hasn’t picked up the phone to ask Miller for her endorsement. Trone staffers, though, A Miner Detail is told, are putting out feelers inside Mayland’s Democratic congressional delegation about Miller’s intentions to publicly back Trone. One Democratic source told A Miner Detail on Tuesday that Miller is under pressure by fellow Democrats to quickly endorse Trone’s bid. Miller hasn’t – and it’s unclear whether she will, at all. It’s even more unclear whether Trone’s other CD-6 Democratic primary opponents will speak out publicly in favor of their former rival. Manno’s campaign failed to overcome Trone’s millions. He finished fourth in the primary, just slightly behind pediatrician and author Dr. Nadia Hashimi. Andrew Duck, a retired military intelligence officer, also did not offer Trone a public endorsement on Tuesday when reached by A Miner Detail. Duck said he called Trone on election night and congratulated him on his victory and relayed that he “wishes him a very speedy recovery” with his battle with cancer. The Washington Post reported on Tuesday a statement released by the Trone campaign proclaiming that Trone is “cancer-free.” Trone, 63, announced on August 27 that he underwent chemotherapy after doctors discovered that he had a tumor in his urinary tract. Questioned about his apparent dishonesty over Trone’s cancer diagnosis, Kurtz, in an August 27 text message to A Miner Detail, again dismissed A Miner Detail’s original concerns as “gossip” and claimed he did not lie when prompted about Trone’s noticeably gaunt appearance. Since’s Trone’s late August cancer announcement, several party activists, including some of the Democratic Central Committee members from the five counties that make up the 6th Congressional District, have privately expressed their desire for Trone to withdraw from the congressional race. Trone is back on the campaign trail after his September 11 surgery to remove one of his kidneys. Another of Trone’s primary opponents, aerospace executive Christopher Hearsey, also refrained from publicly endorsing Trone when contacted on Tuesday by A Miner Detail. “I look forward to a strong blue wave and a democratically controlled Congress that must bring back integrity and honesty in government. I would like to note that I’ve neither been asked for nor provided an endorsement in the November 6th general election. I am firmly focused on my family as we prepare for our first child. I strongly urge everyone to vote on Nov. 6 for Democratic candidates to hold accountable the actions of the Trump administration and the GOP’s unethical behavior,” Hearsey wrote in a statement. To date, only one of Trone’s former Democratic opponents – Nadia Hashimi – is on the record as publicly backing him. “I stand in support of David Trone because MD6 needs and deserves a representative who will support health care for all, criminal justice reform, safe schools, making Trump a one term president and more,” she said. “We are no longer in the primary. The time for solidarity around the greater good is now,” Hashimi told Maryland Matters. A Miner Detail has been unable to reach Democrat George English, who was also defeated by Trone in the June 26th primary. Trone faces off with his Potomac neighbor, Republican Amie Hoeber, a former Pentagon official, in the Nov. 6 general election. Hoeber was defeated in the 2016 general election by Rep. John Delaney (D-Md. ), who is vacating the seat to run for president.